Too often you hear the story about your neighbor, a friend’s oldest, or whoever going to college and not knowing how to feed themselves. They can’t boil water to save their lives. Teaching your child the basics of survival is pretty much your obligation as a parent. Make it easy on them. Start with something like a multi-function rice cooker you can throw everything into. Then, once they see the preparation process and what it’s like to cook your own food, you can perhaps introduce them to more high-skilled cooking procedures – like sautéing. In today’s society there exists a huge disconnect between food, the grocery store, and our plates. 100 years ago, there was no such thing as a supermarket with infinite out-of-season apples in July. Take the opportunity while you’re cooking to explain to your kids where all of this comes from, how it gives them energy and how it’s grown. You could even start a garden! Don’t think it has to be all about the kiddos, though. Investing in your children doesn’t mean you can’t invest a bit in yourself, too. Take the opportunity to buy something spiffy like an affordable espresso machine or the blender you’ve wanted since forever. You’re just helping them in the long run, really. All of this cooking and gardening (and espresso making) is a huge time investment, but a rewarding investment in quality family time. Not only are you teaching your kids something that will last them their lifetimes, you are conversing and, hopefully, laughing and having a good time. The memories you can create are almost more important than the dishes themselves. Make a no electronic rule for the kitchen. No tablets, phones or TVs. Maybe just some tunes to usher you along and you’ll have a rising chef in no time. While seemingly a large undertaking, teaching your child how to cook is as easy as propping them up on the counter just to watch while you do it. 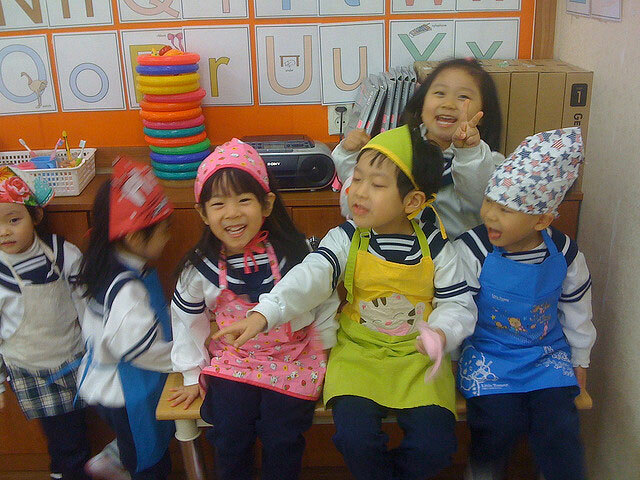 Invite them into the kitchen and explain the magic of making your own meals. Everyone will reap the benefits.